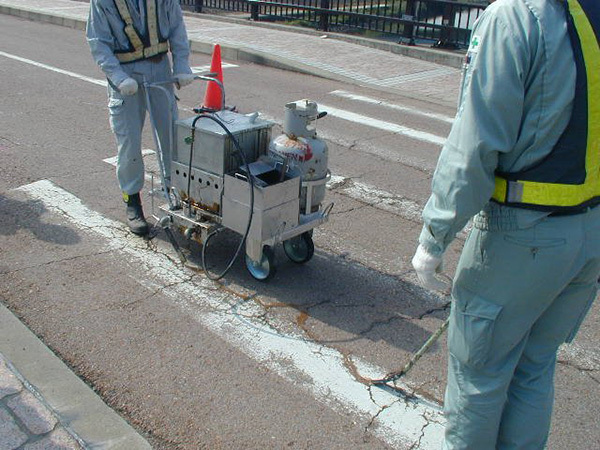 COLORSEAL N is a non-black color crack sealant which harmonizes with existing paved road surfaces. There is the “gray” type, which will be the same color as the asphalt paving that is being used, and the “clear” type that allows optional coloring on-site in order to realize the same color used in color paving. 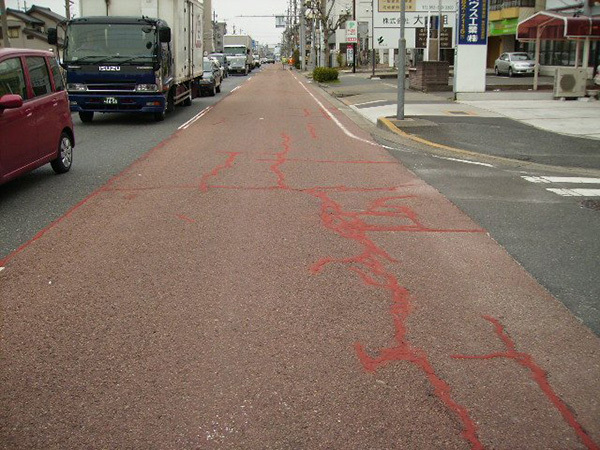 Because finishing is carried out using the same color type as the previously used paved road surface or color paved road surface, the locations where the sealing material is sealed will not stand out. Even during high temperatures in the summertime, the surface will not be sticky and will not become attached to vehicle tires.